So You Want to Sing CCM (Contemporary Commercial Music) presents a compendium of approaches to non-classical singing with an emphasis on vocal technique and function. 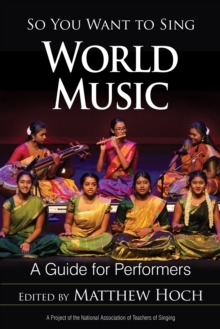 Over the past twenty years, approaches to singing CCM have exploded, resulting in many schools of technique. 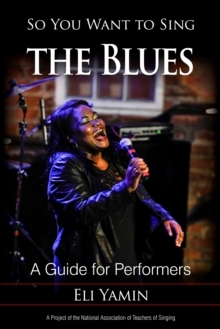 So You Want to Sing CCM is the first book to bring these trademarked methods-such as Estill Voice Training (TM), Somatic Voicework (TM), Complete Vocal Technique (TM), Voiceworks (TM), and the Vocal Power Method (TM)-together in a single volume. 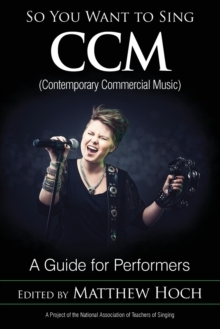 So You Want to Sing CCM opens the reader to the vast world of contemporary commercial music through the teachings of the world's best-known practicing CCM pedagogues. Supplemental chapters by Matthew Edwards, Darren Wicks, and editor Matthew Hoch offer additional commentary on CCM history and pedagogy while chapters by Scott McCoy, Wendy LeBorgne, and Matthew Edwards investigate voice science, vocal health, and audio enhancement technology. The So You Want to Sing series is produced in partnership with the National Association of Teachers of Singing. 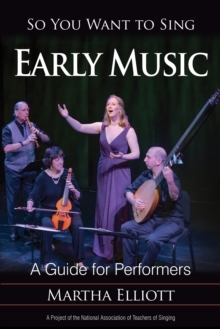 Like all books in the series, So You Want to Sing CCM features online supplemental material.